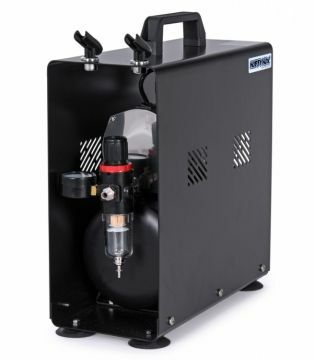 This is an air compressor that fits most airbrushes with up to 0.8 mm nozzles and that don't consume more then 20-23L of air per minute. 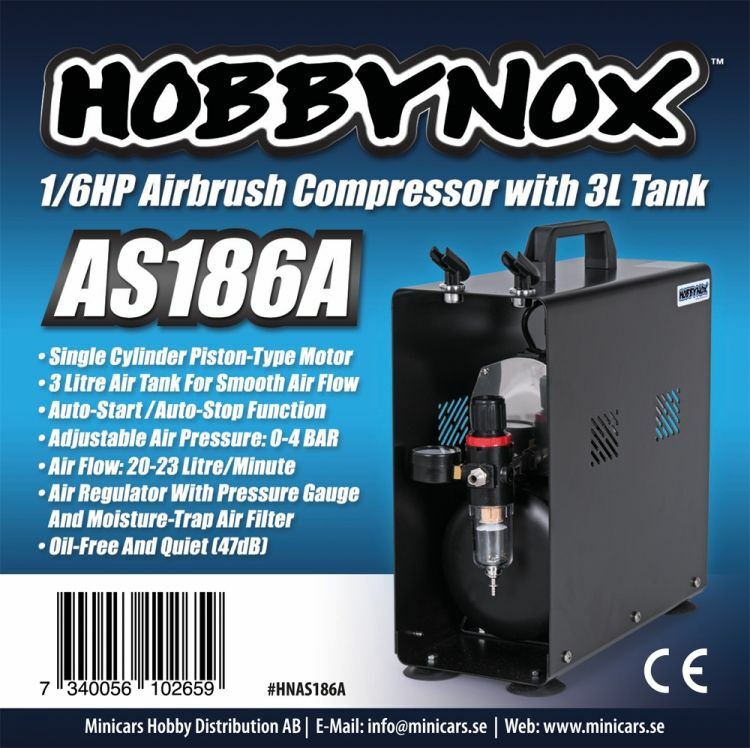 Can be used for most custom airbrush paint work, model building and other hobbies etc. Oil-free piston type compressor. 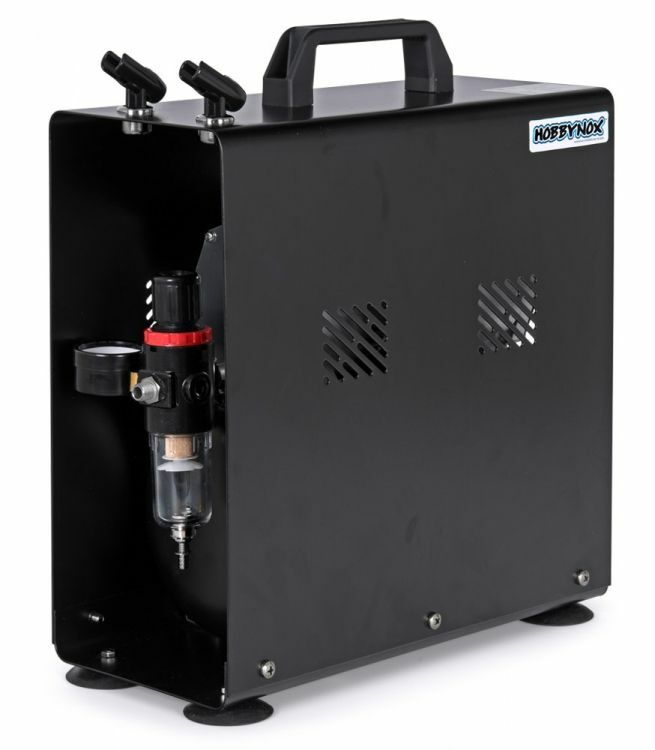 This allows the compressor to be quiet without atomizing oil into the air stream, wich makes the compressor virtually maintainance free.